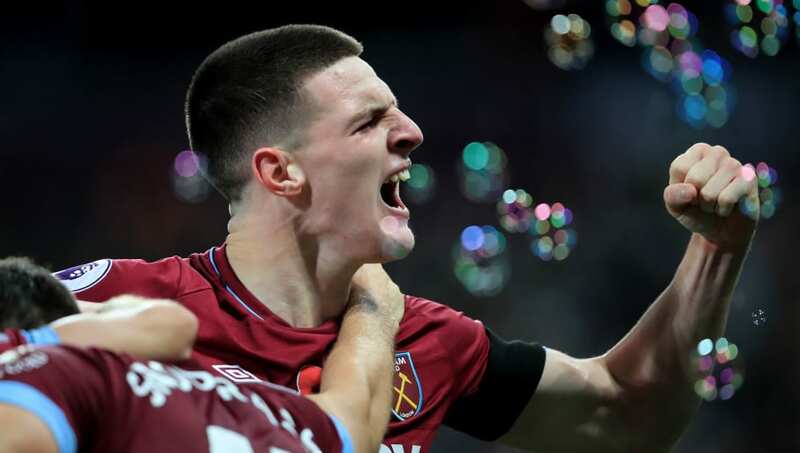 ​England manager Gareth Southgate praised West Ham United youngster Declan Rice after handing the youngster his first England call-up, and explained the absence of Southampton's in-form midfielder James Ward-Prowse. Rice, 20, has continued his impressive progress with the Hammers this season, holding down a regular spot in their starting line-up, despite the club signing a glut of more experienced midfielders last summer. Rice recently switched allegiance from the Republic of Ireland to England, ahead of his much-anticipated call-up for the Three Lions. Speaking to the press after announcing his squad, via England's ​official Twitter page, Southgate spoke highly of his new recruit, claiming: "His form warrants it. We like what we've seen in terms of his personality, his character and his leadership qualities. He'll fit very well into how we work." Given that the Three Lions' boss has called up four central defenders, it seems likely that Rice will be used as a holding midfielder, rather than being utilised in the back line. Eric Dier, Fabian Delph, Ross Barkley and Jordan Henderson will be scrapping it out alongside Rice for a starting spot in England's midfield ahead of the matches against the Czech Republic and Montenegro. ​Southampton's Ward-Prowse and ​Crystal Palace's Aaron Wan-Bissaka were hotly tipped to earn a call-up after excelling for their respective sides in recent weeks, but the pair missed out on a place in the squad. Discussing Ward-Prowse's absence, Southgate added: "We love Prowsey - this recent spell is his best since we capped him. England recaptured the hearts and minds of the nation last summer, after exceeding their pre-tournament expectations and reaching the semi-finals of the 2018 World Cup. Southgate's charismatic leadership proved popular with both fans and the media alike, and he'll be eager to foster a similar spirit of unity ahead of the qualification campaign.